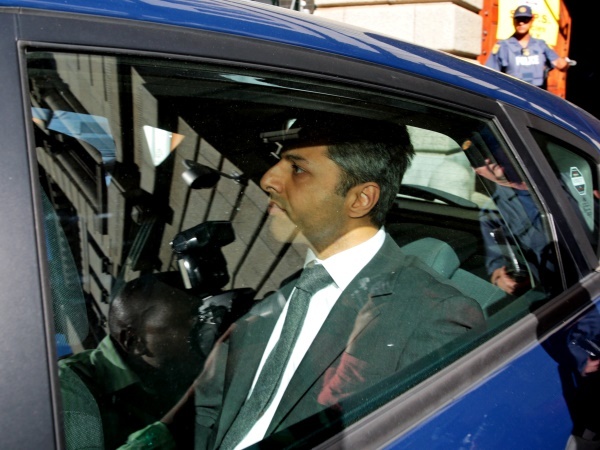 A police ballistics expert was called during Shrien Dewani's murder trial on Wednesday to testify about the trajectory of the bullet that killed his wife. "The wounds described... were the result of a single gunshot fired from the front of the deceased to the back of the vehicle," Warrant Officer Pieter Engelbrecht told prosecutor Adrian Mopp in the Western Cape High Court. He also testified on where the shooter may have been sitting. The State's tenth witness, Engelbrecht, was given pieces of sponge from the backrest in the shuttle taxi where Anni Dewani sat when she was shot dead in Gugulethu, Cape Town, on Saturday November 13, 2010. Her body was found in the abandoned shuttle in Khayelitsha the following day. "The defect on the backrest of the rear seat can only be in line with a fatal shot if the deceased leaned or moved to her right prior to the fatal shot being fired." He said the damage to the sponges gave him a trajectory from the left front of the vehicle to its right rear. Engelbrecht's evidence was in line with the State's version that convicted gunman Xolile Mngeni shot Anni Dewani, who was on the back seat, from the front passenger seat. Mngeni, who was serving life for pulling the trigger, died of a brain tumour at the weekend. Dewani is accused of the murder of his wife during their honeymoon in Cape Town in November 2010. He has pleaded not guilty to charges of murder, kidnapping, robbery with aggravating circumstances, conspiracy to commit these crimes, and defeating the ends of justice. He maintains the couple were the victims of a hijacking on November 13. The State alleges he conspired with others to stage the hijacking in return for R15,000. Engelbrecht's involvement in the police investigation began in November 2012, when he was asked to re-test certain exhibits for Mngeni's trial. He tested the trigger of the firearm and found the pulling action was normal. He recently conducted an investigation of a VW Sharan which matched the one that was hijacked, and studied post-mortem photographs. He prepared documentation for the court, including a photo album. A day before Mngeni's death, he visited him at Goodwood prison and measured the distance from his underarms to his fingertips, which was 72cm on his right side and 74cm on his left. The length of the gun's barrel was 11cm. The distance between the front left seat and the rear middle seat was 82cm, he testified.